← Would I Be Crazy To Choose Marble Countertops For St. Paul Kitchen? This gives our customers the time to ask questions and make comparisons of the different options we offer, and we are happy to work with you to ensure you have the information you need to make an informed decision. Marble is the classic choice for countertops. It is a great match for many different kitchen styles and designs from classic European styles of designs through to ultra minimalist and modern. Marble is a porous material and softer than granite. It needs to be sealed every two to five years, depending on use. Marble can etch and stain if not correctly maintained, but there is minimal cleaning and maintenance required. 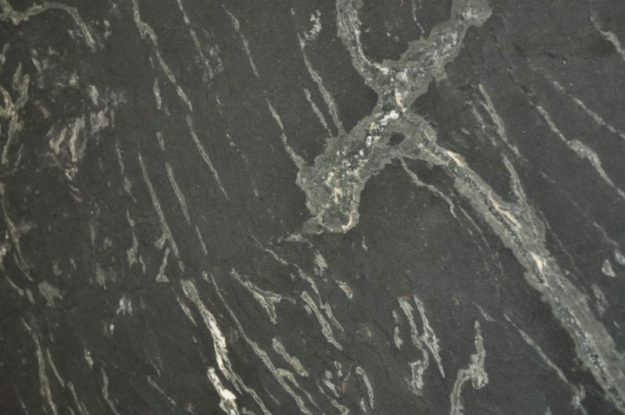 Harder and less porous than marble, granite offers a durable, beautiful option in natural stone countertops. It has a wider range of colors and patterns and is also easy to maintain. We recommend sealing granite counters, and we will do this as soon as we finish the installation. Quartz is a naturally occurring mineral. It is combined with 5-7% resin, and pigments to create beautiful color variations. Quartz is non-porous, so it does not require sealing, and it is considered to be heat and stain resistant. It is also resistant to scratches and surface damage. The color selection and durability makes quartz countertops a great option for kitchens and bathrooms alike. As with marble and granite, this is a lifetime option for any counter space. There are other options in countertops at Granite Unlimited, Inc., although they are not always as well known. We also offer soapstone which is a lovely, rich, soft look combined with high durability and low maintenance requirements. To learn more about any of our natural stone counter options, give us a call at 952-469-5242 or drop by our showroom and talk to our staff.